Edward is the No. 2 blue engine who is a good friend to everyone. He is one of the older and wiser engines on Sir Topham Hatt's railway. 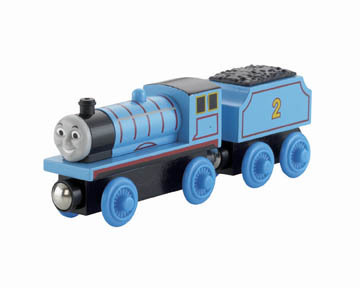 Edward can connect to other Wooden Railway engines and vehicles with magnet connectors. Perfect for Thomas & Friends™ Wooden Railway sets!